For cookies, cream together sugar and shortening. Add flour, baking powder and salt; Mix well. 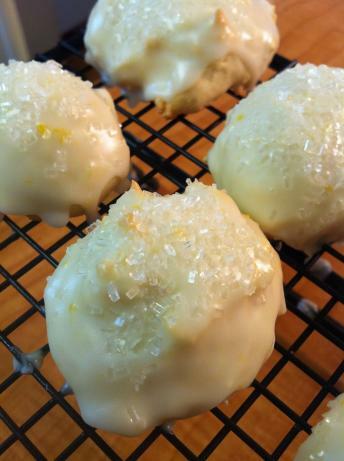 For frosting, combine confectioners' sugar, water and lemon extract and mix until smooth. ~NOTE~ If you want to freeze the cookies, freeze unfrosted and frost once thawed.